HG Logistics News Piggies, Pirates, & Pumpkins--OH MY! 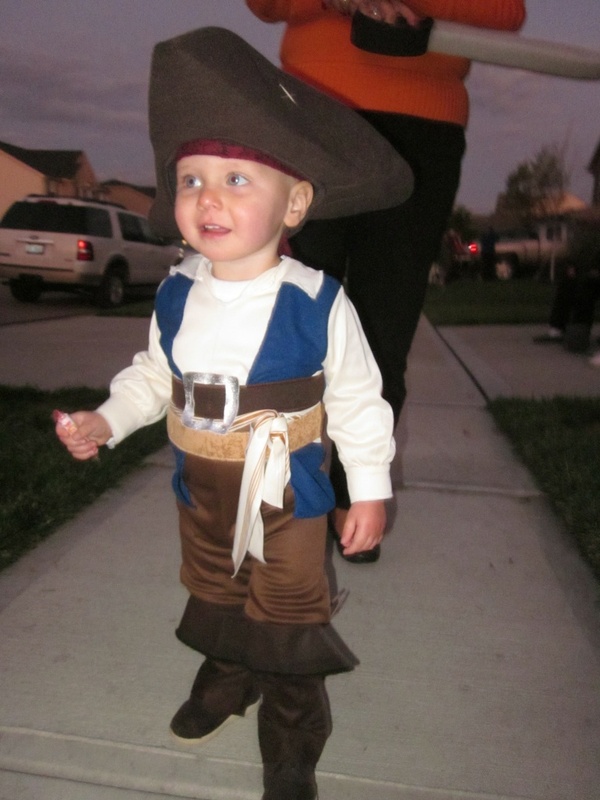 Piggies, Pirates, & Pumpkins–OH MY! I was sitting at work on October 31, 2011, complaining to my co-workers that as an adult I just don’t get excited about holidays like when I was a kid. When I was young, I remember being so keyed up about Halloween. My sisters and I would design our own costumes using whatever we found around the house (That was before the days of parents spending $30/$40 dollars for a costume). We would then get together with all the other neighborhood kids, and we would challenge ourselves to go to every house in our subdivision. Then, of course, the greatest part was devouring all the candy we collected by evenings end. Now, as an adult, I don’t have time to be creative. I definitely don’t have money to splurge on store bought costumes. I don’t have the energy to drag myself around the entire neighborhood, and if I eat candy, I worry about putting on pounds or pulling out a filling. I know what you are thinking– she sure can put a damper on the whole Halloween Spirit. Well, fortunately my down-and-out spirits were not going to spoil Halloween for my children since they are all grown. However, I did have plans to meet up with my daughters and my granddaughter, along with my nieces and great nieces and great nephews to go Trick-or-Treating, and I definitely did not want to go as Oscar the Grouch. And I am glad to report that I did not because I found the perfect cure for the Halloween Holiday Blues–CHILDREN! Once I saw all the kids dressed in their costumes and sensing their excitement and anticipation, my whole attitude changed. Their joy was infectious and it rubbed off on me. Look at those faces. How can you not help but smile? So what does this all have to do with HG Logistics LLC in Cincinnati, Ohio and the whole transportation broker, third party logistics business? Nothing! But it was Halloween week and it just seemed appropriate to write something about the occasion. Although, I have to admit that there are monsters that show up every once in awhile at HG Logistics, and some of us here wish we could stir up a witch’s brew that would magically make every load go off perfectly with no mishaps. And then, of course, there are always the traffic ghosts and goblins that like to haunt us from time to time. So, I guess when I put it that way, HG Logistics does have something in common with Halloween. Regardless, I hope your 2011 Halloween was a safe and fun-filled day, and I hope you experienced some of that once felt Halloween, childlike excitement, and I hope some child put a smile on your face. 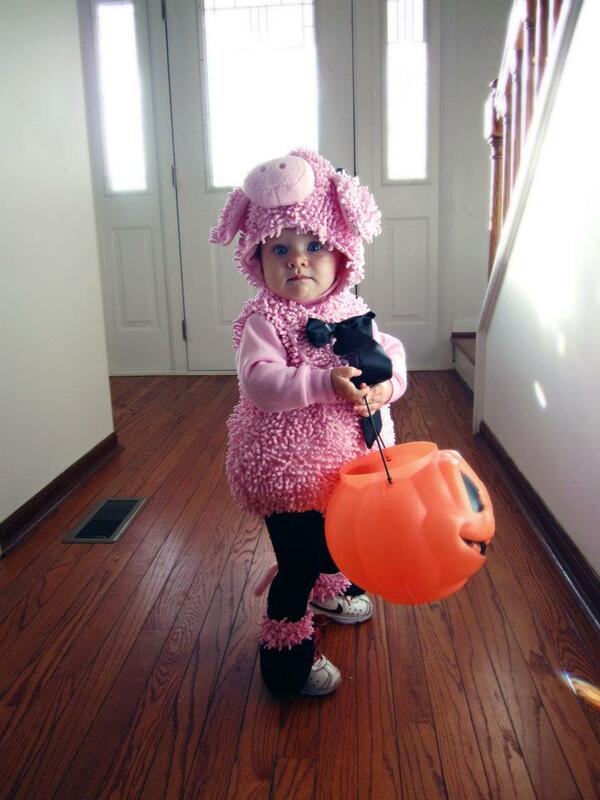 I know one did mine (my granddaughter- The Piggy).